 Log In needed $20 · Dog Walks and Runs! Rain or Shine! Does your dog need to release some pent up energy while you are at work? Work crazy hours, or long days? I can help! I love taking dogs of any kind out for walks/runs. Lengths can vary depending on your dogs abilities! One dog per walk only! Send me an email and let's connect! I am experienced walking : puppies, dogs that pull, anxious dogs, dogs that have a LOT of energy, herding breeds, bully breeds, giant breeds, tiny breeds. All shapes, sizes, ages and abilities are welcome on my walks. We are a one walk kind of adventure team, unless your dog likes some friendly company, then I would be happy to bring along my own dog. 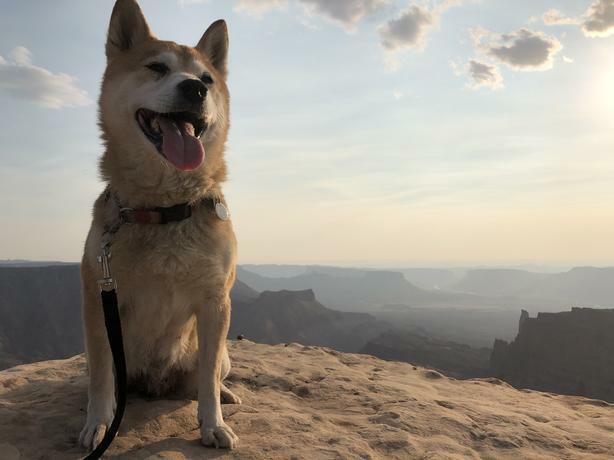 Who is a relaxed, senior Shiba Inu. Walk/Run areas generally consist of: the 10km Elk lake loop, Dallas road, Uvic, and East Sooke Park for a hike! All dogs are kept on leash unless specifically stated by the owners that off least is permitted. I am happy to play lots of fetch as well, but find that the run is a more bonding experience! Doggy First Aid, Criminal Record Check Available! I am also a fourth year BSN student at Uvic!